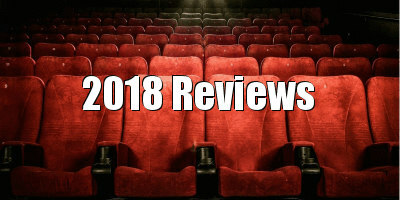 Movies depicting the struggles of migrants from the Middle East into Western Europe will remain important to film culture as long as the continent continues to struggle with the moral ramifications of this phenomenon. It is even more important that directors who straddle both cultures, like Fatih Akin for example, get to tell these kinds of stories. This is certainly the case for Mitra Tabrizian, whose new film, Gholam, details the struggles of a despondent and broke Iranian living in London. Tabrizian’s film opens with a shot of the titular character (Asghar Farhadi regular Shahab Hosseini, as effectively brooding as ever) glowering into the rearview mirror of the London cab he drives, irritated with the callous businessman in the backseat. When he’s not shuttling Londoners around the city, Gholam is either working his second job at a garage with an intellectual fellow expat (Amerjit Deu), or he’s hanging around his uncle’s restaurant (his Aunt never wants him to pay, but he almost always insists), or he’s talking with his worried mother on the phone in his small, bare apartment. Gholam seems to be simply passing the days, troubled by a past in Iran that is about to return to haunt him. While Gholam has the potential to be a great story, that potential unfortunately goes somewhat untapped. There appear to be two major ideas at work in Gholam. First, there is the story of the challenges and tedium the character must face as an immigrant in London. Second, there is the more plot-driven narrative of mysterious characters from Gholam’s military past surfacing in London. The film is quite effective at exploring the former idea, but falls short with the latter. The second narrative begins to develop late in the film and never appears to grow or deepen. What’s more, it never seems to effectively cohere with what seems to be the film’s main preoccupation (the immigrant experience) into a dramatically sound whole. A potential link could have been the interesting character of Arash (Armin Karima), Gholam’s young cousin who seems relatively well-assimilated in English culture while maintaining a deep, powerful connection with his Iranian heritage. Yet his fascination with Gholam’s past could have been developed further as well. A third sort of half-narrative emerges in the film at some point: Gholam’s friendship with an older lady and her younger relative. But this story feels inorganic and saccharine in the larger context of the more serious issues the film wishes to explore. With all of these narrative issues at play, Gholam’s content, while grasping at interesting ideas, ultimately feels flat and confused. A film with as little dramatic substance as Gholam could certainly evoke a perfectly dramatic sense of interiority through carefully realised stylistic choices (see Bresson, Dreyer, or Akerman), but the style of Gholam is often as inert as its narrative. Characters are primarily filmed in a slightly bland succession of medium shots; often, when two characters are conversing, these medium shots capture them in a blandly theatrical way, and sometimes even basic visual composition seems not to have been considered. Occasionally, one is struck by the beauty of one of Gholam’s visuals: one shot of the skate park frequented by Arash exhibits a lyrical sort of urban beauty. But these shots are so few-and-far between that the film’s stylistic flavourlessness will stay in the viewer’s mind after a few fleeting effective visuals pass by. Still, the film’s final moment proves that Tabrizian has much potential as a visual storyteller. Without giving it away, the sudden shock of this moment can produce a galvanising and enlightening sense of anger through its sheer visual matter-of-factness. There is yet another mishandled story arc that leads to this moment, but one can assume that the ideas expressed in this story were the major preoccupations for the filmmakers all along. In fact, it’s the anger that the final moments of Gholam inspire that ultimately give the film merit. The situation faced by Iranians in Western Europe is obviously different from the situation for Syrians and Iraqis. In Aki Kaurismaki’s wonderful new film, The Other Side of Hope, the Iraqi protagonist must cope with the tragic deaths of many members of his family in the wake of a missile strike. In this case, it would appear that Gholam is an expatriate, not a refugee. But nevertheless, the marginalisation and violence of which Gholam is a victim certainly speaks to the larger issue of racism in Europe, an evil whose banality Tabrizian manages to represent quite effectively. In this way, Gholam, as a political film, may very well be more valuable and humane than a film like Michael Haneke’s Happy End, which, frankly, treats the crisis with the same flippancy as its aristocratic characters. 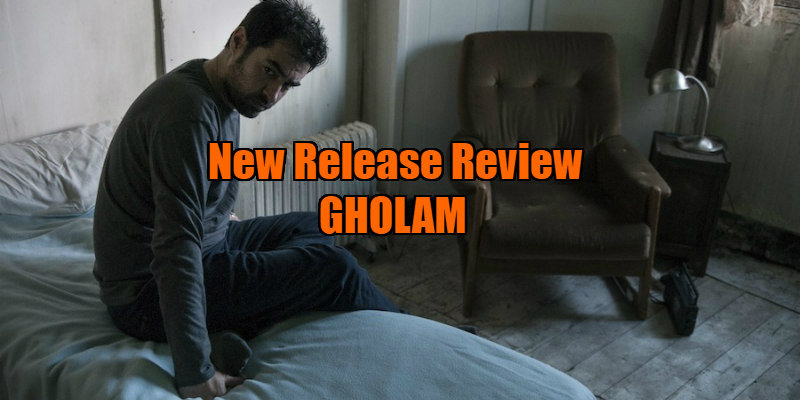 Gholam may be a deeply flawed film, but, in the end, it does make a somewhat intelligent contribution to an important conversation. 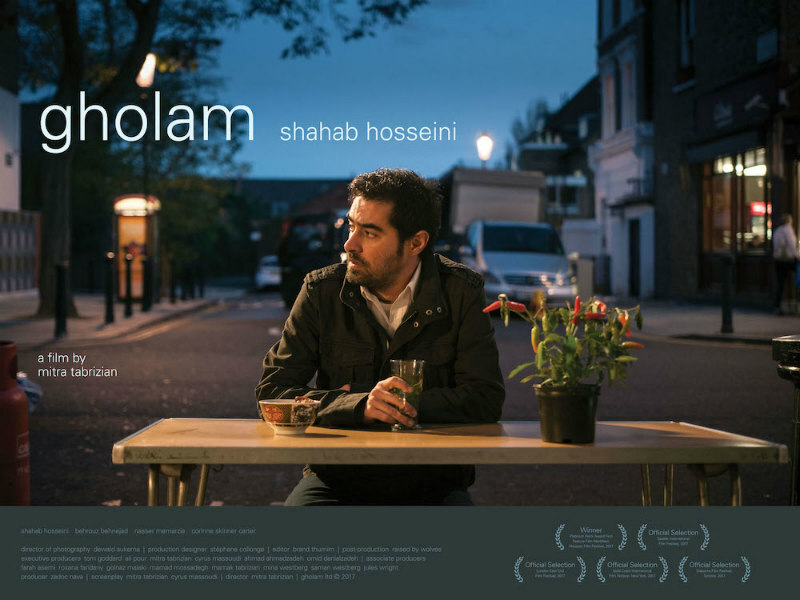 Gholam is in UK cinemas March 23rd.